Does your support team know more about your product than you? Does your support team know more about your product than you do? Your support team spends all day talking to customers about your product. That probably means they know both your product and your customers pretty well. But how well do you know them? At the Austin leg of our Inside Intercom World Tour, I discussed how you can leverage your customer support team to improve your product. Prefer reading to watching? You’ll find a written version of my talk below. our customers and our product team. Our product team is incredible – we are a product-first company and we have a really high bar – but sometimes less-than-perfect things get shipped. 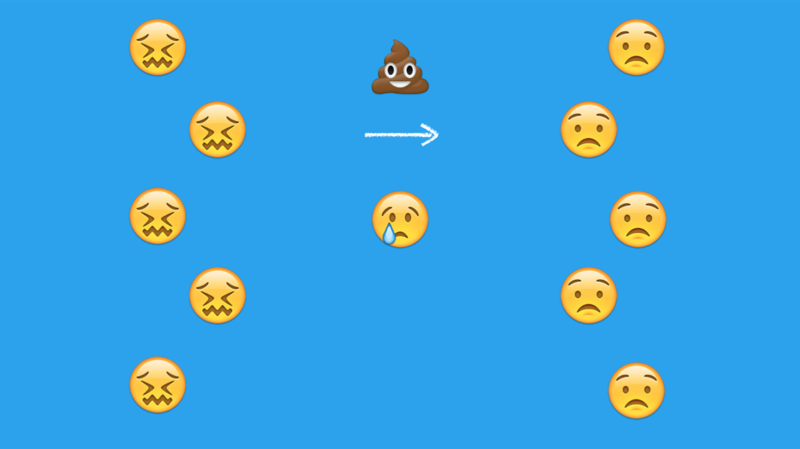 That makes our customers sad, which makes our customer support team sad, which makes our product team sad. 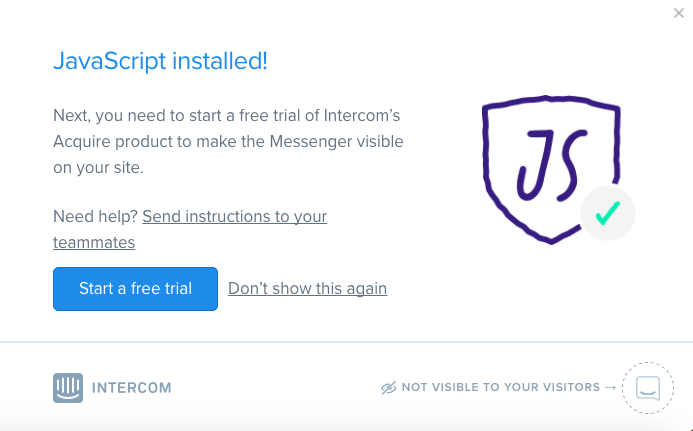 If you’re growing as fast as Intercom is growing, you have a lot of people shipping a lot of things to a lot of customers, and that creates potential for a lot of sad people. However, there are simple ways a customer support team can work with the product team to keep everybody happy. When I started at Intercom in 2014 I was the fourth person on the customer support team. Since then, we’ve grown to 55 people globally, handling 22,000 conversations every month. We’re a pretty big team supporting a lot of customers and having a ton of conversations. When you’re scaling a support team that quickly there is the temptation to treat customer support as something you just have to deal with. That can cause companies to outsource their support, sometimes to the other side of the world. But even if you have a customer support team right within your company, if you don’t talk to them, that’s kind of the same thing as outsourcing. What outsourcing does is give customers replies. We’re not saying they’re good replies, or friendly replies, or on-brand replies, or maybe even correct replies. They’re simply getting replies. What gets measured gets done, so if all you care about is the median first response time, then that’s a good case for outsourcing. However, if you’re not talking to your support team about how your customers feel about what you’re shipping, your product team is numb to the frustration that your customers are facing. If you’re not looking at the conversations your customer support team is having with customers, you’re basically throwing information away. You might say, “It’s fine. I have a really good research team. They talk to my customers. I know exactly what’s going on.” That could be true. But imagine you owned a restaurant, and a few days after somebody ate there you sent them an email asking them what they thought of the new soup they ate. That feedback is going to be very different to feedback from somebody who was eating at your restaurant and tapped a waiter on the shoulder to tell them the soup is a little salty. This is an extreme example, but it highlights the difference between “survey feedback” and “unsolicited feedback”. Survey feedback is what your research team is getting. It’s important, but it’s context free and it’s a closed conversation. You’re also asking about things that you know you want more information on. Whereas if you look at the conversations customer support is having with your customers, there’s tons of unsolicited feedback. It’s workflow driven, it’s an open conversation and it’s hitting those blind spots you wouldn’t know to ask about. When you think about customer support, think about it like recycling – you’re getting two uses out of the same thing. Most customer support only looks to solve the customer problem, and that’s when you end up with things like docs and autoresponders. But if you don’t solve the product problem it’s worse than you think. If your product team isn’t getting feedback on what they’re shipping, they’re probably going to ship more things that your customers and maybe even the market doesn’t want. They’re getting worse and so is your product. That’s bad. Once you start talking to your support team and find out what they’re talking to your customers about, you can make all that data actionable for your product team. One of the most important things we do at Intercom is tag every single conversation that comes into our inbox with both a team tag and a category tag. The team tag denotes what product team owns that feature or part of the product, while the category tag describes what type of conversation we had. Using these tags, our product team can create dashboards, look at unusual spikes, consistent trends, explore conversations and get insights into what we should be working on next. Here are some examples of how we have used tags to improve our product. Because of that project, the customer support team isn’t dealing with the same types of conversations, and we saw a decrease in conversations tagged “product confusion”. With tagging, PMs can sort conversations by type and look at each category individually, then decide what to do with that information. One of my favorite categories is what we call “unaware”. That’s the tag we use when people are requesting features that already exist in our product. It’s a great customer support experience, because we can make the customer really happy right then and there, but it’s also a bummer that they had to write in to ask about it. PMs can look at these conversations and decide what we need to do to make these features more discoverable, perhaps through customer-facing docs or by tweaking our marketing content. If you’re shipping things really quickly, as we do, things are bound to break, and it’s important to keep track of this. We have a cool GitHub integration that allows you to keep Intercom conversations and GitHub issues in sync so when the developer closes the issue in GitHub our conversation automatically reopens in Intercom and we have an easy way to follow up with our customers to tell them that things are fixed. Your product and your product team will both get better by working with customer support to find out what your customers are saying. Customer support enables them find out how they should iterate on what they’ve shipped. Even the best product teams are going to ship things that are less than perfect sometimes, but as long as you have that feedback coming in, everyone can still end up happy. If you’re not already working with your customer support team, go talk to them, ask them what they’re doing, what your customers are saying – your product will thank you for it.